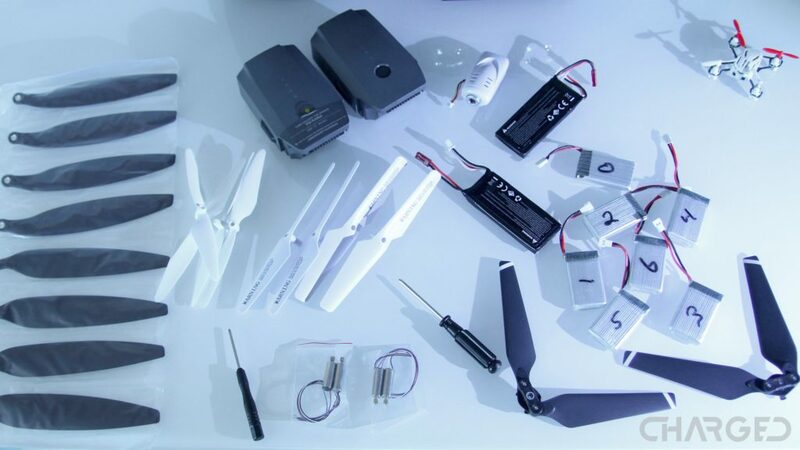 One of the most important parts of your drone are the propellers. These spinning blades are the wings to your craft, the very part that creates the airflow that lifts your machine into the air. 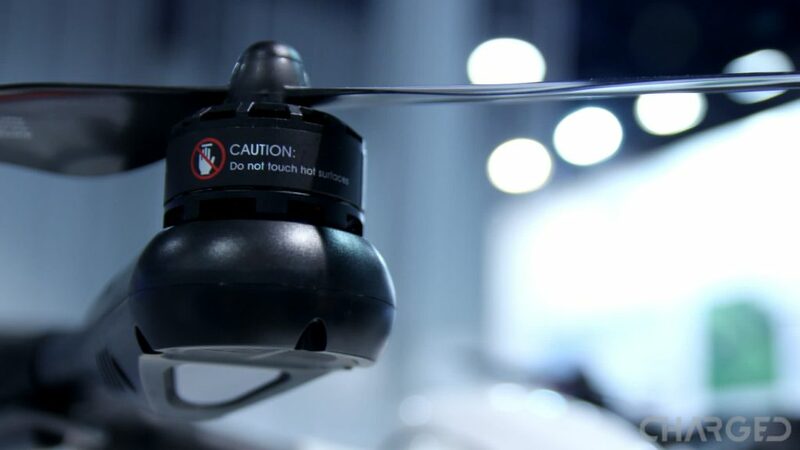 Drone propellers come in many different shapes and sizes – they all serve the same overall purpose, but the flight characteristics of each can be dramatically different. We are excited to get a little geeky about flight today, and will be talking mostly theoretically, you’ve been warned. As we explore the different angles of attack, pitch, blade count and more of drone propellers, don’t get too caught up on the technical specifics. We’re going to cover some of the details, but we are not physicists, most of our descriptions are going to be down and dirty. Are you vaguely familiar with how an airplane wing works? Airflow across the wing creates areas of high and low pressure, resulting in lift. Look up Bernoulli’s Principle if you’d like to know more on that specifically. Simply put, higher speed air travels over top of the wing, creating low air pressure, the opposite happens underneath the wing , effectively pushing things upward. The propeller on your drone is a wing, actually, in the physics sense of things, it is multiple wings attached together. Spinning the little wings around in a circle creates the same air pressures, thus causing lift. If you don’t want to follow along the ‘air pressure and lift’ approach to this all, know that the angle of the propellers drives air downward. There is enough resistance in normal air that this drives the propeller upward. 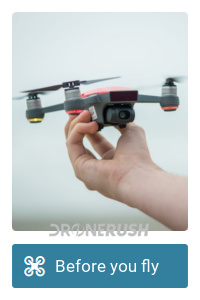 That’s right, all of the weight of your drone is ‘held up’ by those small spinning blades, but we’ll worry about that later. 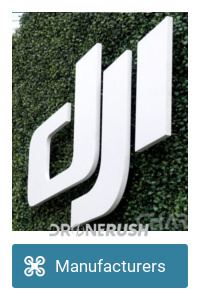 Are we good with this concept – your drone propeller is made up of multiple wings? Good. The basic concept of a fixed blade propeller is that the faster the motor runs, the faster your propeller spins and more lift is created. Basically, more power = more speed. 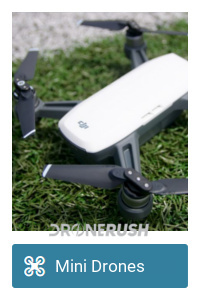 There will be a theoretical maximum to this, eventually a propeller will spin faster than it can efficiently move air, but for the most part we won’t hit that with our consumer drones. Altitude plays a part in this as well, read up on air density to see what I mean. All of us DJI Mavic Pro owners should be familiar with a small number on our remote controls, a live readout of the RPM of our motors. With a stock set of folding Mavic Pro propellers, my machine rotates at about 6000rpm to hover. I usually fly between 300 and 1200 ft above see level at take-off. Your hover speed will change at different elevations, and in different temperatures and humidity levels, but that may be beyond our scope today. To maintain flight, your propellers must stay within a specific range of angles. That is, using the non-technical explanation, the blades must keep pushing air downward. An almost flat blade will not create as much lift as a steeper angled blade. The flatter the blades, the easier it is to move them through the air, which is a common approach for lower-end drones with low power motors. The motors do have to spin faster to create lift, but speed is easier to obtain than torque on a smaller motor. A more aggressive blade will require more torque to spin through the air, but it creates more lift and can spin slower. The main benefit here is that the maximum thrust possible by the aggressive blade far exceeds that of a flat blade. 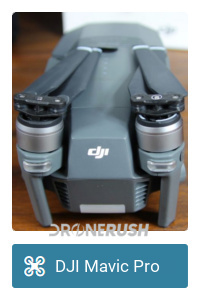 This means more power and a higher drone flight speed, but usually eats up the battery pretty quick. It is also true that the more surface area of the wings, the greater their potential for lift. This does not mean that bigger is better, but there is no doubt that a thin bladed propeller will have to spin faster to create equal lift to a wide bladed propeller. 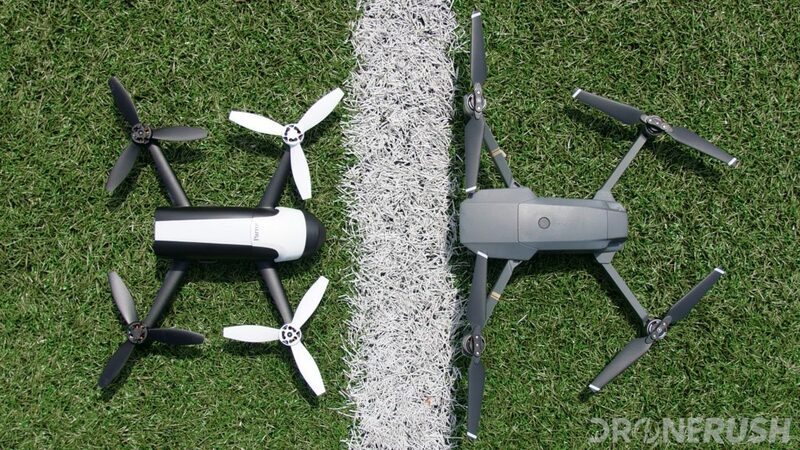 The drone itself uses multiple propellers in pairs to create a balance. 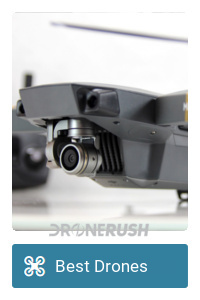 You’ve likely noticed that you’ll have some rotate clockwise and others rotate counter-clockwise, this is to help the drone itself from spinning out beneath the props. 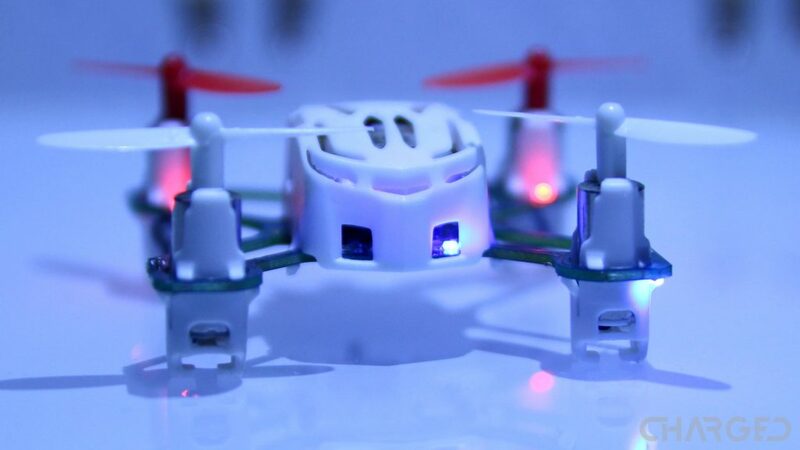 As a propeller spins, the force applied by the motor spins the propellers as much as it tried to spin the drone. The opposite side motor spinning the other direction creates a balance, preventing the drone from spinning so that most of that energy goes into the propellers. We hope to explain this further at a later time, for now, let’s go back to looking at each propeller on its own. 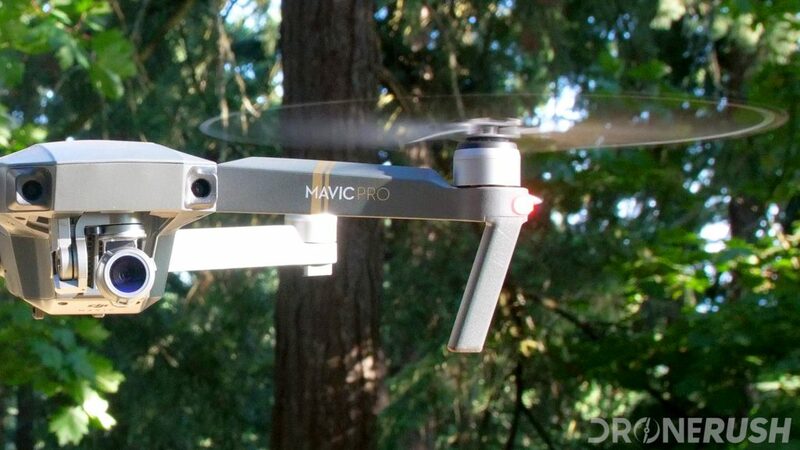 The trick to building an effective drone is as much about finding the right propellers as anything. Ask a racer how many styles of propellers they’ve tried out, I bet they report back at least four different configurations. Finding the right size and pitch of propeller is key to balancing power and performance. 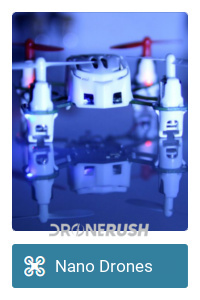 Some manufacturers of toy class drones rely on fine tuning to provide stable flight – specifically, a centered joystick on the controller is configured to be just the right amount of power to hover. Change up the propellers and this will no longer be the case. Just remember, a steeper pitch is, effectively, more powerful, but eats more battery. A larger width blade is also more effective for the trade-off of battery use. For the most part, drone propellers consist of two blades. You’ve seen this on airplanes as well, smaller craft usually have two bladed propellers, larger craft may have three or four blades. For our purposes, we’d like to make blade count a sub-category of the surface area discussion – more blades produces more surface area per rotation, after all. Have you ever stirred water in a pot or bucket? As you get the water moving faster and faster around in a circle it becomes harder to make an impact on the fluid. Let’s think of splashing of the water as if it were smooth flight. When the water is sitting still or moving slowly, you dip your hand in and move the water – it is at this point that your action has the most impact and creates the most splash. If you put two hands in, on opposite sides, notice how the rotation creates less splash? Then, as I say, if you are just getting started, things splash a lot, but once moving around quickly, you reach the point where you have minimal impact on the water, you’re just moving your hands to keep up with the flow. I hope that wasn’t too distracting. The water bucket scenario is only an example of how propellers work in the air. A two bladed propeller can be harsh when it impacts the air, a three or four bladed propeller is going to be smoother. The trade-off is that, like the water, a four bladed propeller more easily creates that cyclone of air, eventually reducing the effectiveness of each rotation. By this logic, a two bladed propeller creates the most agile flight, the more blades you add the smoother your flight will be. But remember, more blades means more surface area which means more battery consumption. The funny thing is that this science, on paper, contradicts what I’ve had a few racers tell me. On the track these few experienced pilots swear that their four bladed propellers are the most agile and the three bladed props much smoother. 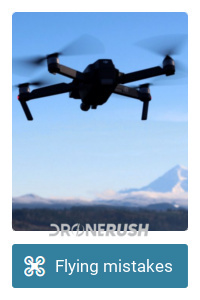 I suspect other factors are at play here, including motor power and control sensitivity/lag, but the fact is, to find the right balance for your flying needs, you are just going to have to get out there and fly. Let’s talk fancy for a moment, let’s talk variable pitch propellers. Fairly uncommon for this level of flying machine, it may have occurred to you earlier that finding a balance has its limitations. Like a swimmer in the water, there are times to push hard and there are times to float along. On an airplane, the wings have flaps. Extend these flaps to create both more surface area and a greater angle of attack to drastically change how the aircraft performs, i.e. it can maintain flight at much lower speeds. A helicopter, on the other hand, will not have flaps on its propellers, instead it twists the blades, changing the angle of attack only. 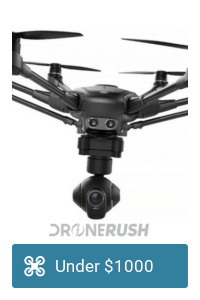 This can be true of your drone propellers as well. 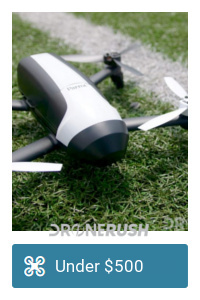 We do not know of a retail solution as yet, but we’ve seen this technique in some prototype commercial drones. 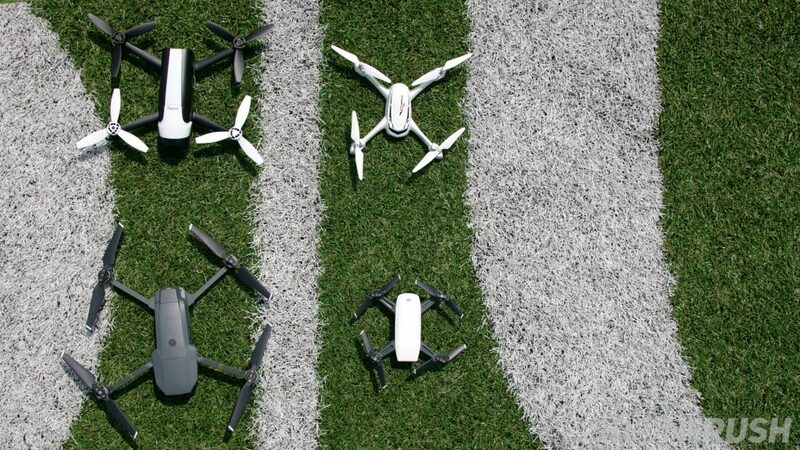 The idea, mostly, is to utilize the best angle to use the least amount of battery possible at any stage of flight, all without compromising performance. Imagine, if you will, if you could change the overall size, texture and pressure of the tires on your car, all while you are driving. That is as close to the same concept as I can think of right now. Hard smooth tires would provide the best fuel efficiency on the highway, but the worst amount of suspension and grip. Big soft tires with lugs for tread would ease your passage over large rocks or bad pot holes, but would be horrid for fuel costs on the highway. We find the balance on our cars as we find the balance in our drone propellers. 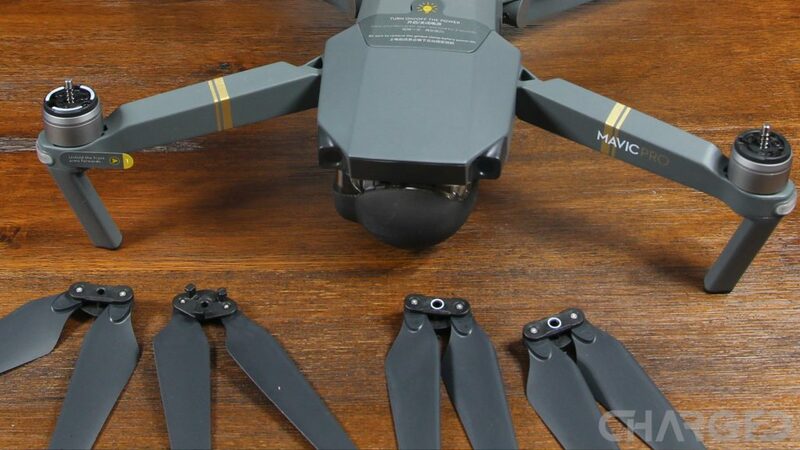 Before we wrap up today, let’s discuss one last thing, a trend we are seeing in many consumer drones today, folding propellers. Logic would say that a folding propeller would fold up when force is exerted on it. Another line of logic says that centrifugal force will keep them stretched outright. Which is right? Both, of course. At the rotational speeds required to create the lift needed for our drones, the outward force from the center of the propeller is more than enough to keep a folding propeller stretched out. That said, when you jam on the throttle, the motor will have enough power to bend the blades. Two things will happen here. More than two, actually, but let’s keep it simple. First, you don’t need to worry too much, the folding design has a stop eventually on its pivot. The very most you can do is shorten the total length of the propellers as the blades fold in. They will maintain balance, so you only lose efficiency. The second thing is a sort of suspension, if you will. 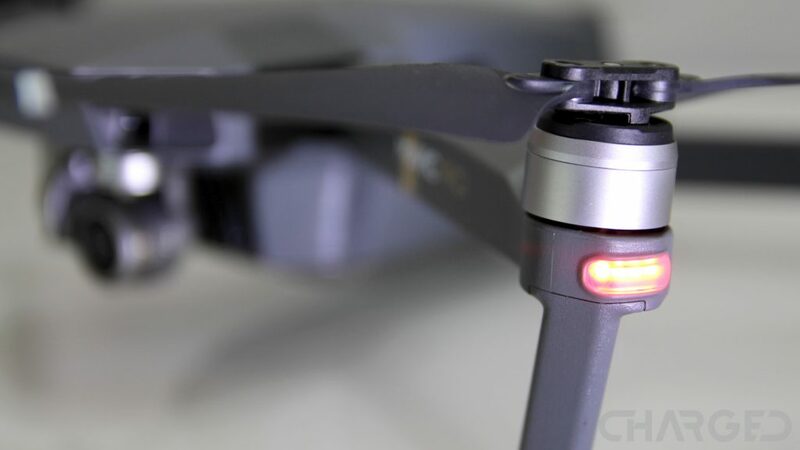 If you had fixed propellers, the moment you jam on that throttle the entirety of motor torque is immediately applied to the props and off your drone will fly. This is super fun, but if you have a camera in tow, it will not be very smooth. 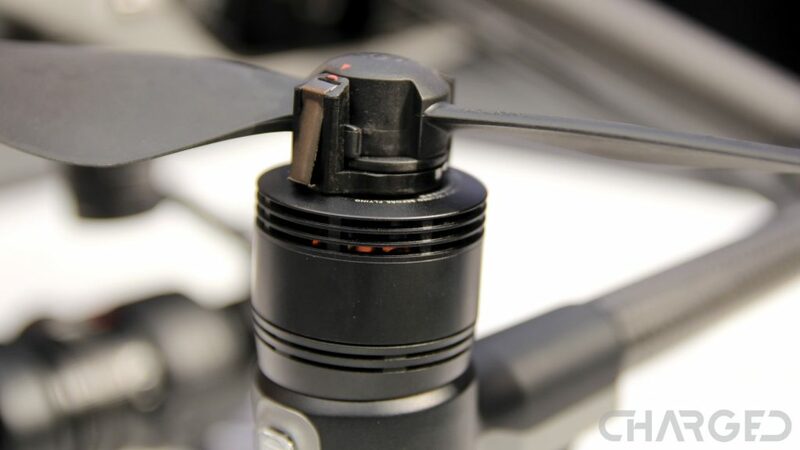 These folding propellers create a little buffer, absorbing some of the motor torque. 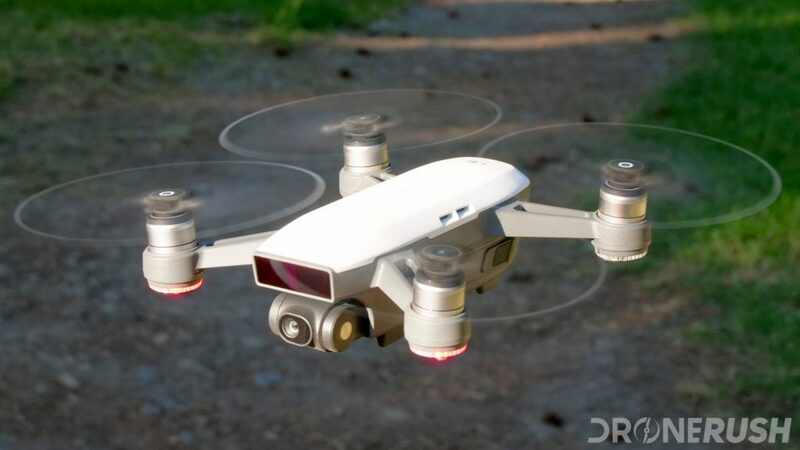 Eventually the folding propeller will balance out, allowing full torque to drive your flight, but that little bit of bounce can make a huge difference to a camera. As you may imagine, wear and tear can be significant on these spinning bits, and you also know that they are the first thing to pop if you bump into a wall or drop out of the sky. For all that we depend on a propeller to do, they are very cheap (inexpensive) in the long run. You might drop $10 – $20 on a pair for your larger machine, but we’ve seen toy class propellers sell for about $0.10 each if you buy in bulk. Please keep in mind that chips and cracks do more than just reduce the effectiveness of your propellers. If a piece of propeller comes off when the motor is at full speed, that bit of plastic becomes a high-speed projectile. I have never been hit by a piece of propeller, so I can’t say if it hurts, but I have come into contact with a propeller in motion, it hurts. I’ve seen blood spilled and stitches required from propeller contact, I had a welt and big blister from my first contact, leaving me to assume that pieces of propeller tearing off at speed could cause the same harm. Inspect your propellers before each flight. 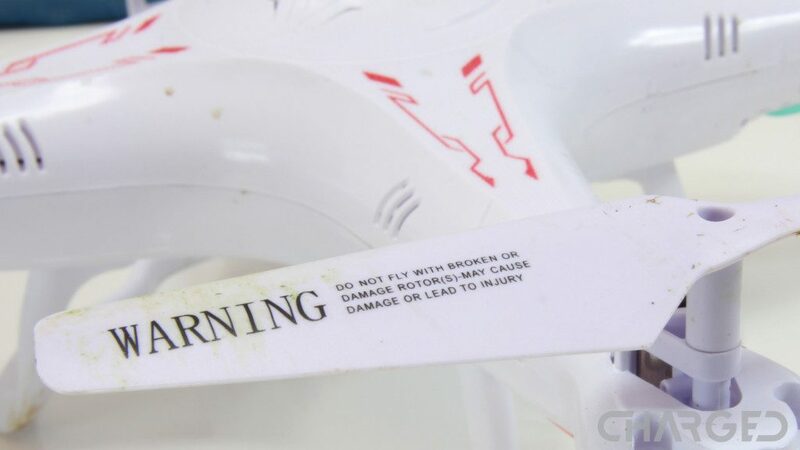 Make sure they are not compromised, there is no point causing yourself or those around you any harm for the low cost of a new set of propellers. If you are like me, you know that we’ve only scratched the surface of the science of flight. 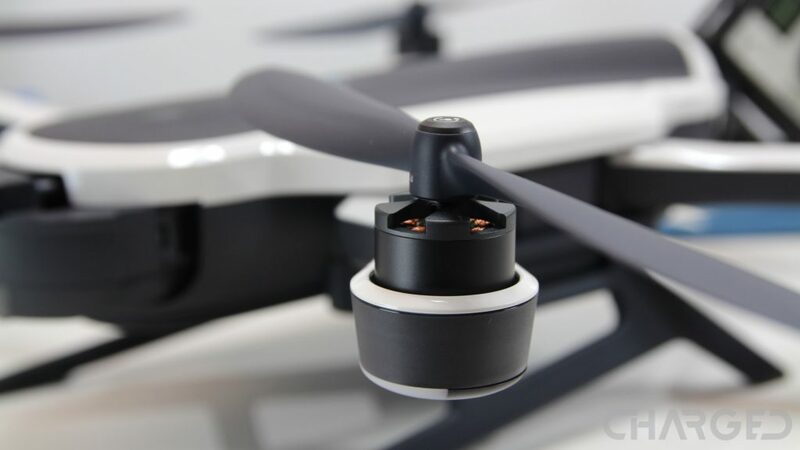 When determining the perfect propeller characteristics to best match your drone, there are many little things to consider. Let’s leave that to the engineers, mostly. For you and I at home, there is a good reason your manufacturer installed the propellers that they did on your machine, consider sticking with them. For the racers that are building their own machines, understanding how the different propellers will perform in relation to each other is important, but the only way to figure out which propeller is right for you is to fly. Let that be my conclusive advice for all considering propellers for their drone – go, fly, have fun. See what works for you, what feels good and does not eat your battery too fast, find your balance. You can work the science on paper, but that’s not the point, take to the sky with your drone! 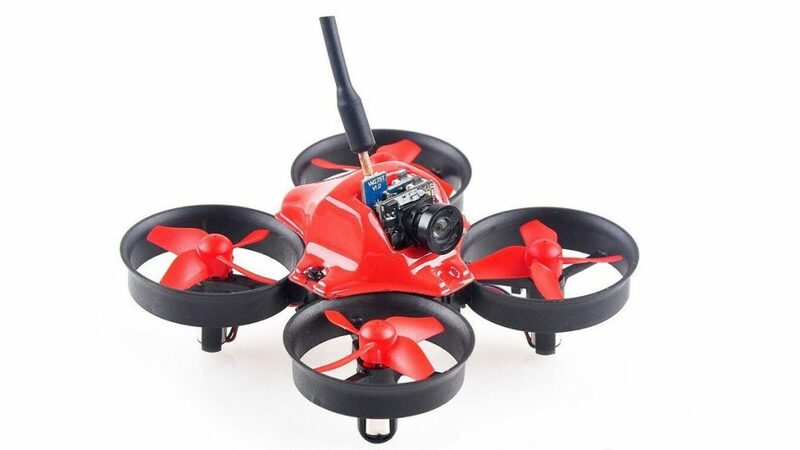 Do you play with various propeller designs on your drone – were the results what you were expecting and hoping for?